CAMP HANSEN—Sgt. Julian W. Bennett (left), platoon sergeant and sergeant of the guard, 12th Marine Regiment, 3rd Marine Division, III Marine Expeditionary Force, and Lance Cpl. 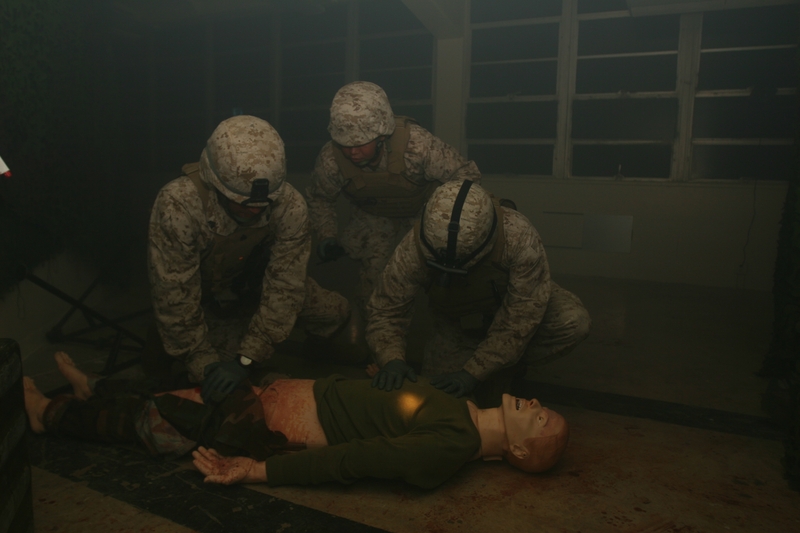 Daniel Miller (right), support man, 12th Marines, access a medical simulation mannequin during an expedited combat lifesaver program for individual augments at the III Marine Expeditionary Force Medical Trauma Simulations Training Center, April 7.